We are at a pivotal point in history due the digital revolution which is disrupting everything, bringing about a social revolution, a commerce revolution and another industrial revolution. We are currently still in a reasonable position globally to be able to take part and improve the UK economy and our standard of living. If Brexit goes ahead, a ridiculous amount of energy and resource will be focused on Brexiting. That energy and resource is needed for us to be a major player in what is now a global marketplace. We Brexit, we put ourselves out of of the game. As London Tech Week launches today to talk-up the capital’s prospects, over 100 UK tech founders, directors and investors are calling on the Government to back a meaningful vote “by the people” on the actual terms of Brexit. The tech leaders are signatories to the aims of new tech business group Tech For UKwhich is backing anti-Brexit campaign group Best For Britain in its fundraising campaign for a meaningful vote on the terms of Brexit and the option to “Remain and lead in the EU”. Over 50 other tech industry players have also signed up. Tech For UK represents the founders of many of the most innovative businesses in the UK including Martha Lane Fox (co-founder of Lastminute.com and Doteveryone), Gareth Edwards (Founder, travel player Deckchair.com), Ben Whitaker (Founder of Masabi, the smart cities ticketing startup), Bernhard Niesner (Founder of the language learning giant Busuu), Giles Andrews (Cofounder & Chairman, of P2P lending pioneer Zopa), and George Bevis (founder of small business banking provider Tide), among many others. The list also includes Tech community leaders outside of the so-called ‘London bubble’ including Dr Sue Black OBE, Founder, TechMums and Bletchley Park campaigner; Elena Sinel, Acorn Aspirations, which teachers teenagers coding and entrepreneurship; and Nuala Murphy (CEO, Moment Health) a leading entrepreneur based in Belfast, Northern Ireland. The group said the loss of access to European funds, the flight of talent which powers UK tech companies due to the uncertainty and scandal around immigration, the loss of access to the Digital Single Market, which the Uk tech industry was never consulted over — all of these factors are adversely affecting the UK Tech industry, says Tech For UK. Funding from the European Investment Fund has collapsed since the Brexit vote, and a replacement scheme has yet to be assured long-term by the government. The European Investment Bank, which backs a majority of the United Kingdom’s VC funds, has slashed deals with UK VCs and private equity groups by more than two-thirds, with scant equivalent funding from the UK government in sight. Even a government-backed report cited Brexit as a top challenge for tech companies in the UK. The technology sector has consistently grown faster than the UK economy in recent years, employing over two million people and attracting billions in foreign investment. 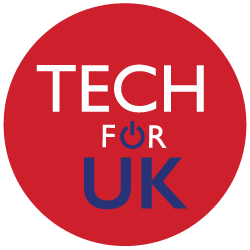 “Collectively, Tech For UK supporters have raised hundreds of millions of pounds, put hundreds of millions back into the UK economy and employed thousands of people. This is why Tech For UK is lobbying for this vote,” said co-founder Josh Russell, partner of Resolve. “The ongoing uncertainty along with declining growth is a hard one to take. We went from the fastest growing (before Brexit) to the lowest-growing in the EU with the economy expected to grow a mere 1% in 2018. While the government argues about the Customs Union for goods, it is Services make up the bulk of the UK economy and they’ve cut off the tech sector’s access to the Digital Single Market. It’s time the people of the UK had a say on what Brexit actually is,” said Madhuban Kumar, Founder/CEO, Metafused, and co-organiser of Tech For UK. Brexit has not happened yet and appears to be already having an effect on the UK economy. The Bank of England recently released figures that showed “the UK economy is currently 1% smaller than expected two years ago”. Here are some quotes from Tech For UK supporters, which is continuing to call for new supporters, while there is a growing Facebook group here.